If you’re on the hunt for a dish with some south-of-the-border flavor, then look no further than our chicken corn tortilla soup. Featuring an ample amount of tasty tomatoes, garlic, onion, Cabot Sharp Lite50 Cheddar cheese and tortilla chips, this soup is truly filling and satisfying. It takes minimal effort to make and it’s the perfect recipe to whip up if you’re craving something with a nice, spicy bite. The recipe makes eight servings, and you can prepare it in less than 45 minutes. Feel free to share it on Facebook, Pinterest, Twitter or Instagram. Ready to learn how to make tortilla soup? 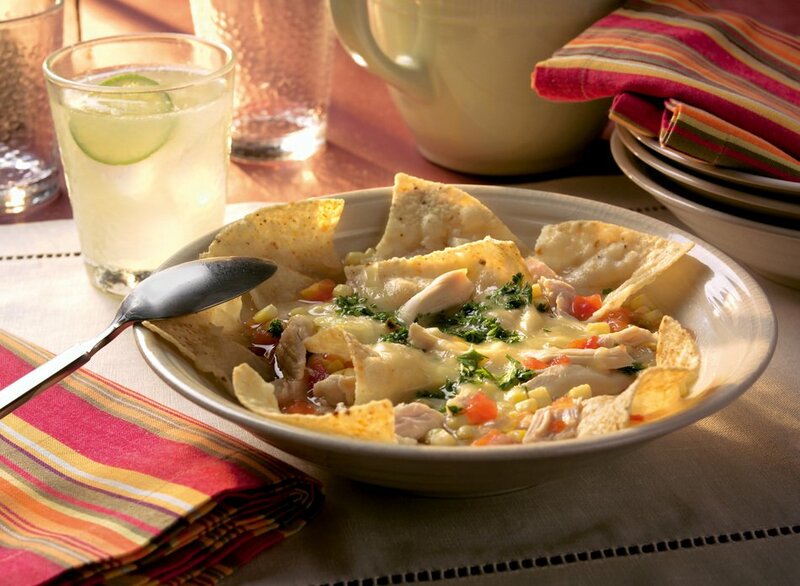 The recipe calls for 1.5 pounds of boneless, skinless chicken breasts, chopped onion, garlic, canola oil, chicken broth, white corn, green chilies, corn tortilla chips and six ounces of Cabot Sharp Lite50 cheddar (grated). To prepare this dish, you’ll need to place the chicken in a saucepan with water, bring to a gentle simmer and cook until just set in the center. In a separate skillet, cook the onion, garlic and oil, stirring and cooking until the onions are tender and then set aside. Once the chicken is ready, move it to a separate plate to cool and add the cooking juices to another skillet - in this skillet, add broth and bring to a simmer. Next, add the corn and cook for 5 minutes. Then, add the tomatoes and reserved onion mixture and cook until heated through. Once that’s done, arrange 8 tortilla chips in each of eight large soup bowls. Shred the cooled chicken and divide among the eight bowls. Ladle the soup over your chips and chicken and top with shredded cheese. Dig in and enjoy! If you’re interested in another chicken tortilla dish, give our chicken tortilla pie a try. It’s one of our most popular chili recipes! 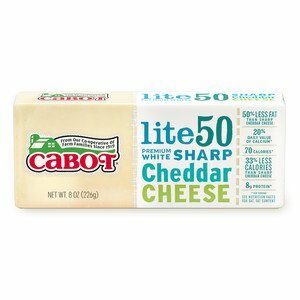 Cabot is a cooperative of over 800 farm families. We work hard to produce our award-winning dairy products. We’d love to hear your feedback on this chicken tortilla soup recipe so, if you have a chance, please rate and review it. PLACE chicken breasts and water in a saucepan. Bring to gentle simmer and cook just until set in center. COMBINE onion, garlic and oil in medium skillet over medium heat; cook, stirring, until onions are tender. Set aside. TRANFER cooked chicken to plate to cool. Strain cooking liquid into another saucepan and add canned broth to cooking liquid and bring to simmer. Add corn and cook for 5 minutes. Add tomatoes and reserved onion mixture and cook until heated through. ARRANGE 8 tortilla chips in each of eight large soup bowls. Shred cooled chicken and divide among bowls. Ladle hot soup over chips and chicken; top with grated cheese. This recipe is great for lunch or a light supper paired with a salad and sliced avocado!